Head of Dept of Medical Oncology, Director of the Postgraduate School of Medical Oncology, Director of “Genetic Cancer” Center, Deputy Director of Dept of Clinical and Molecular Science, Università Politecnica delle Marche, Azienda Ospedaliero-Universitaria, Ospedali Riuniti Umberto I - GM Lancisi - G Salesi, Via Conca 71, 60126 Ancona, Italy. Hyponatremia is the most frequent electrolyte and body fluid balance disturbance observed in patients with cancer-related conditions. The incidence of hyponatremia in malignancy may be underestimated with the prevalence varying greatly depending on the population, clinical setting, prevalence and type of cancer, treatment regimen and serum sodium concentration cut-off point. Hyponatremia is considered an unfavourable prognostic factor in patients with cancer and the differential diagnosis may be challenging. 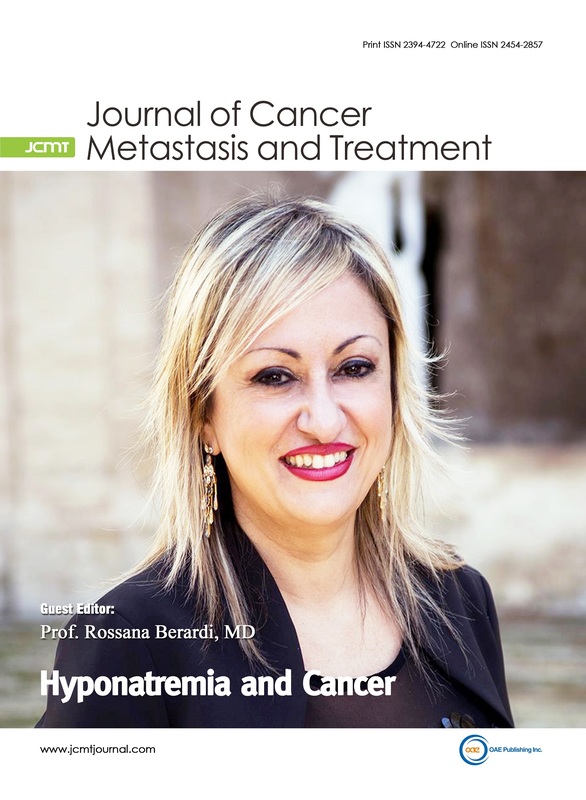 Hyponatremia in patients with cancer is often the result of a series of symptoms/factors such that standard treatment algorithms/approaches may not always be appropriate in the oncology setting. It is important that cancer therapy can commence or continue without undue risk to the patient while elderly patients and those receiving palliative care also may require special consideration. SIADH is most commonly found in patients with small cell lung cancer (SCLC, 11%-15%), but it has also been reported in 3% of patients with head and neck cancer and other solid tumors and hematological malignancies. The degree of hyponatremia and its normalization could modify the outcome of hyponatremic cancer patients.